To become a lawyer in the United States, one needs to pass the Bar Exam administered by their state’s Board of Law Examiners. One someone passes and becomes a licensed attorney, they can choose an area of law to practice—which may include personal injury law. In addition to choosing a specific area of law to practice, many lawyers choose to participate in law organizations/associations or become highly specialized in their area. Across the country, there are numerous statewide and national organizations made up of lawyers in all areas of law. These are voluntary organizations—meaning that a lawyer is not obligated to join them. Being a part of one does not make someone a better lawyer either. Rather, members of these associations or groups are just committed to furthering a specific cause to do with the legal system. During your search for a personal injury lawyer in Texas, you may find that your lawyer belongs to any number of organizations. Here’s a brief overview of three of them to help you understand the history and goals of each. Not to be confused with simply passing the Bar Exam, the American Bar Association (ABA) is a voluntary professional organization made up of about 400,000 members. Members of the ABA are dedicated to achieving certain goals within law. These include (but are not limited to): to promote the highest quality legal education, to promote pro bono services, to eliminate bias in the justice system and the legal profession, and to increase the public’s understanding of the law and the legal process. Formerly known as the Association of Trial Lawyers of America, the American Association for Justice (AAJ) is made up of attorneys, paralegals, law professors, and law students. Its goals include to promote fairness and justice for those who have been injured, to safeguard victims’ rights, and to provide resources to lawyers to help them better serve their clients. While there are more than 90,000 licensed attorneys in the state of Texas, fewer than 2.5% of them are board certified in Personal Injury Trial Law. If you have been injured, you may want to be represented by one of these 2.5% of attorneys who specialize in the issues you’re facing. 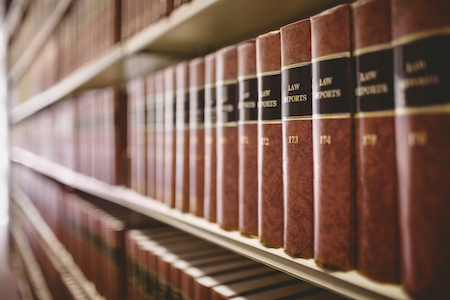 Though someone who specializes in criminal law or oil, gas, and mineral law may be a great attorney in their field, they aren’t the right one for your case. Get sound legal advice from a personal injury lawyer in San Antonio. Josh Davis is one of the few licensed lawyers in the state of Texas who have been Board Certified by the Texas Board of Legal Specialization in Personal Injury Trial Law. He and the rest of the Davis Law Group lawyers are always available to answer your questions or assist you with a personal injury case. Learn more about the legal services we can provide below.